Service rolled out for Android and iPhone apps. For those who are new to Twitter, it can take a while to understand the nuances of the microblogging site. And in order to make it a bit more user-friendly for beginners, the service has rolled out a new notification that recommends accounts and Tweets. An official post on Twitter states that you will "receive personalized recommendations when multiple people in your network follow the same user or favorite [sic] or retweet the same Tweet". 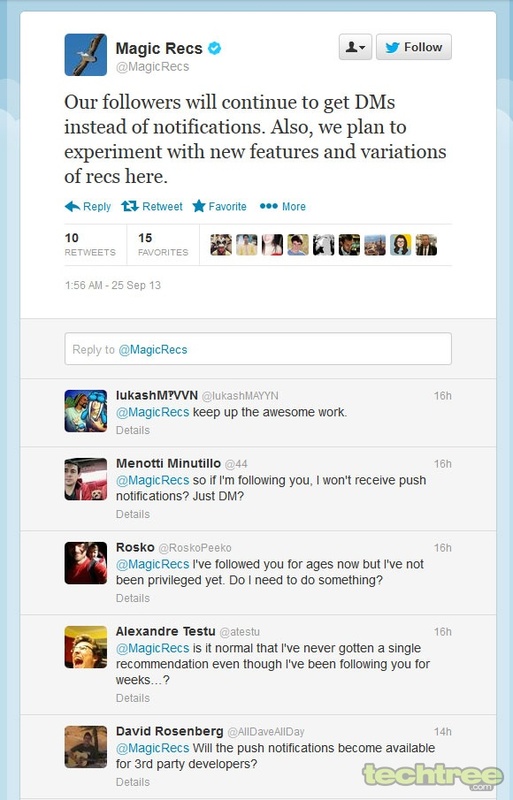 You can check out how this works by following the experimental account — @MagicRecs, that claims to send "instant, personalized recommendations for users and content via direct message". The feature has also been rolled out for Twitter's Android and iPhone apps, as they get recommendations through a push notification. By default the option has been turned on, which you can switch off, by with tweaking the "Recommendations" options in notifications settings.